Kim W. Stallwood gathers together moving and inspiring stories from many who are involved with animal advocacy at the most fundamental level – rescuing animals from torture, deprivation, or despair. These people are also advocates for a more compassionate relationship with animals and the abolition of animal exploitation. 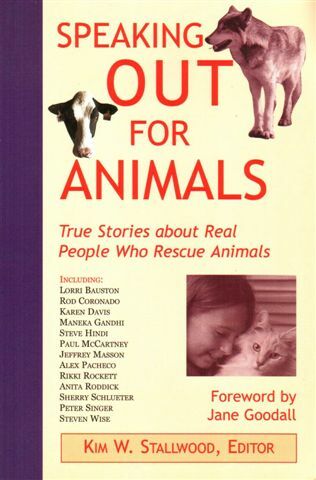 The stories of the rescuers and the rescued will offer comfort and inspiration to all those trying to care for those less fortunate than themselves, and provide an eye-opening look at the horrific conditions under which many nonhuman animals live. In addition, these stories provide ways for all people who may feel powerless to stop injustice and cruelty, wherever it may happen, to become actively involved in campaigning against violence and promoting compassion. Kim W. Stallwood is the longtime editor in chief of The Animals' Agenda, the nation's leading animal advocacy magazine, and the executive director of the Animal Rights Network Inc. A respected voice in the animal advocacy movement, he is a frequent speaker at conferences. He lives in Baltimore, Maryland.